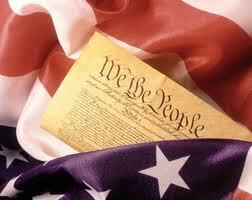 4th of July: Is the United States a Representative Democracy or a Mirage Democracy? It is a shame to have to ask whether democracy is a mirage in the United States, no doubt most Americans would rather be celebrating U.S. democracy than questioning it. But the reality of the disconnect between government and the people has become so stark it is impossible to ignore. Gallup reports that Americans belief in our form of government and how well it works is now at only 42% (in 2002 it was at 76%). Less than a quarter of Americans approve of the job Congress is doing, yet because of manipulation of the political process, the drawing of voting districts, the impact of campaign money and the power of incumbency, more than 90% will be re-elected. The courts, which play an essential role in applying constitutional limits on government in the U.S. Republic, have become a tool of the financial elite, actually weakening elections further. They have issued rulings that further empower the money-class in their control of democracy. The court has allowed unlimited spending by corporations and individuals in the Citizens United decision; and recently found the Arizona Clean Elections Act unconstitutional. Thus striking two blows for the wealthy – they can spend as much as they like, but government cannot provide matching public funds for elections. President Obama, rather than pushing for clean elections, is going from big donor event to big donor event to become the first candidate to run a billion dollar campaign. More and more Americans recognize that his health care policy, which re-enforced and expanded the power of the insurance industry, likely resulted from their $20 million in donations to his first campaign. Obama kept single payer out of the debate despite years of polls showing large majorities of Americans want single payer and vast evidence showing it is the best model to control costs and the only model to provide health care to all. The insurance company’s profits came before the necessities and preferences of the people. We see people from Goldman Sachs and JP Morgan and other big financial institutions not only being bailed out but being put in the Obama administration rather than prosecuted for crashing the economy despite strong evidence of criminal wrongdoing. These are two examples of many. Obama has advocated corporatism on every issue and is now going to those special interests to fund the most expensive campaign in history. What can Americans do to create a representative democracy and shift the power to the people from major corporations? In fact, the U.S. is not the only country facing the problem of oligarchy. One example that has not gotten a lot of attention in the U.S. media is Spain. The people have been in revolt since March 15th. Hundreds of thousands have taken control of public spaces across the country. Their protests continue and more major protests are being planned. The Spanish movement has been only minimally reported in the U.S. commercial media, perhaps because some of the complaints are so similar to what we hear in living rooms, schools and restaurants when Americans talk among themselves. – Politicians and economic powers have perverted the democratic ideal. – A professor from Barcelona explains – the political structures, instead of protecting our welfare and living standards the government is doing the opposite. It is the institutional machine that is creating mass unemployment, precarious employment and unprecedented limitations on future hopes and expectations. – Another says the political parties have lost touch with the people. They have limited the exercise of democracy to every four years and have stripped democracy of its true meaning. Sounds familiar, like echoes of conversations many Americans are having. As a result thousands of Americans have joined www.October2011.org. This is a movement to demand an end to corporatism and militarism. Like the Spanish, the Greeks, Tunisians and Egyptians, among others, October2011, will be taking over a public space, Freedom Plaza in Washington, DC beginning on October 6. This day is the beginning of the 11th year of the Afghanistan War and that week is the beginning of a new federal fiscal year with an austerity budget for everything except the military. October2011.org has written the activists around the world seeking a common agenda of economic justice and real democracy letting them know that their revolution is our revolution. It seems much of the world is waking up to the need to topple the oligarchy at the same time. Like Spain, October2011.org is led by individuals, not organizations. People from a wide range of issues see the common problem of corporate control of government preventing the change America needs. This includes ending the ongoing wars, reducing the military budget, better pay and jobs for workers, Medicare for all, reversal of the degradation of the environment, ending the wealth divide and putting in place a clean, sustainable energy economy, among others. The solutions to the critical issues facing the country are evident to many but the corporate interests who profit from the status quo prevent real change. The electoral system is closed to all but the corporate parties. To transform the government into one that puts the peoples interests before those of the economic elite, will require a showing of power. It will require an ongoing, independent movement that demands real change and has the power to insist on it. On October 6th a major step to showing the development of such a movement and demanding real change begins. Join us. Are the people of the United States ready to face the reality of the corruption of U.S. elections and the lack of representation and do something about it? History is knocking. The time is now to answer. Kevin Zeese is on the steering committee of October2011.org and a peace and economic justice advocate.